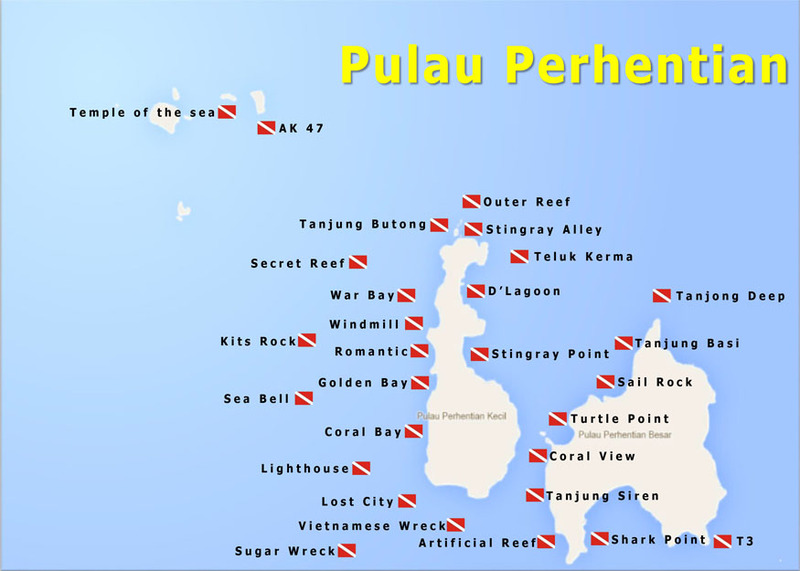 Best scuba diving course facilities with on the Perhentian Island. ‘Universal Divers’, located only a few meters away from the Tuna Bay Island Resort offer a variety of diving courses. We did our Advanced Open Water with them and we loved it. The whole setup is working well and their facilities are great. Everything is easy and simple, just like it is supposed to be on a vacation! Visit Universal Divers here. The water visibility is phenomenal and the dive sites are filled with energetic underwater life. For those, looking for an extra bit of excitement and adventure, try the ship wreck and night dive. We absolutely loved the island. Its crystal clear waters, white sandy beaches, happy locals and cocktails are what holidays are all about! The Tuna Bay Island Resort offers tasty dishes and the chalets we stayed in were beach front between coconut palm trees. From all the diving we did so far, Perhentian Island was the best! Interested in diving the islands of Phuket or Indonesia? Check out our blog post about diving around Phuket and diving in Gili Meno. We had so much fun diving here. Have you ever been to the Perhentian Islands? We’d love to hear from you. Please comment below!